Climate change and development goals cannot be pursued separately. Their interrelatedness has finally been recognized by including climate change as an SDG. 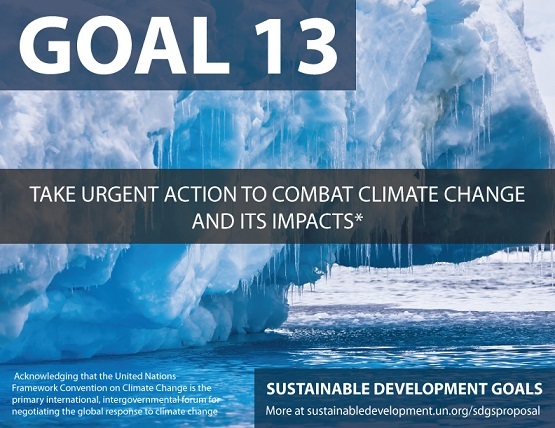 SDG number 13: Take urgent action to combat climate change highlights an important milestone as the issue was not addressed through the Millennium Development Goals (MDGs). Eyes are now on the Paris climate talks later this year where the new international agreements aimed at keeping global warming below 2°C will be determined. A warming climate will impact the availability of freshwater, food security and energy amongst other necessities. This is already being observed globally with countries experiencing changes in rainfall, more flooding, droughts, intense rain and more frequent heat waves. There is a common responsibility falling on all states to protect the environment, while recognizing the different circumstances each state faces in their ability to tackle the problem. This responsibility should be extended to companies where action needs to be taken in accordance to circumstances and potential. SDG number 13 has set out a number of targets, stated below, which countries need to now take ownership of and define the specific responsibilities and targets befalling them. The role of business is picking up but there is an overview that it is not enough. There are many types of risks facing businesses including climate change policy risk, reputational risk and market risks. It is in businesses best interest to act fast to reduce this and seize opportunities like new investments or new revenue streams. HSBC has already realized the potential of this field and has created new climate change indices that can be invested in through the bank. Further benefits are outlined in Citi’s report, which states that $2 trillion savings will be generated if we move towards a low-carbon economy. There are many interrelated actions companies can take and are already taking in responding to SDG #13. Lowering emissions is a thing of the past. The new target? Becoming net positive. One of the champions in this area is Dell who aims to become net positive by having the consumers do ten times more good than their footprint. Their plan includes 21 objectives for 2020, including waste-free packaging, reducing their carbon footprint by 50% and cutting the energy intensity of their product portfolio by 80%. ‘You can’t manage what you can’t measure’ goes the famous saying. 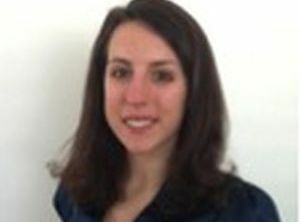 More sophisticated measurement systems and metrics are needed for businesses to be able to monitor, evaluate and report on the impacts of climate change at all levels of a companies operations. McGrath Group is one such company using UK’s first system for assessing CO2 emissions during the waste management process. However, Science magazine’s article stresses the importance of going beyond measurement in isolation and at a larger scale. Climate-resilient supply chains are needed in terms of reducing emissions as well as implementing high levels of adaptation to possible future climate risks. Companies should also set high expectations and targets with their suppliers. Thanks to Liberty Global’s ambitious environmental programme, they have announced savings of $325 million in 2014 and a 31% improvement in carbon efficiency. The development of radically innovative technology and processes is and will continue to be one of the crucial solutions to not just mitigate climate change effects, but even reverse them. Biomimicry is one such fascinating field. Examples include solar cells inspired by leafs or companies like Whale Power studying whale fin design to improve the efficiency of wind turbines. Companies need to show governance by making their stance about climate change clear. This ranges from lobbying for climate change causes to joining meaningful pledges. There is good news in this field recently with 13 large US corporations joining a series of climate change pledges worth $140 billion in green investments, or Norway’s sovereign-wealth fund excluding four companies from its investment portfolio due to concern around the companies creating severe environmental damage. There is a need to cooperate by bringing together mutually beneficial partnerships between the private, public and voluntary sectors. Such as the private-public partnership between Pepsico, the UN World Food Programme and the United States Agency for International Development to promote long-term nutritional and economic security in Ethiopia by increasing chickpea production. In closing, to tackle SDG number 13 there is one element that stands out as being absolutely crucial to the achievement of the goal, which is to take urgent action.